Since the time before the Industrial Revolution, around 1760, the average temperature on Earth has increased by about .9 degree Celsius (1.5 degree Fahrenheit). This seems like a small amount considering the wide variations of temperature around the globe and over the course of a day, but the climate results of this temperature increase are clearly seen, from receding glaciers, earlier springs, territorial movements of animal, insect and plant species, and increase in extreme weather, such as hurricanes and forest fires. What is the cause of this warming? In the late 1700s, humans began to burn fossil fuels, such as coal, oil and natural gas for power. This, coupled with the expansion of agriculture, caused large amounts of CO2 (carbon dioxide) to be emitted into the atmosphere. The concentration of CO2 in the Earth’s atmosphere has increased from about 280 parts per million (ppm) in the 1700s to over 400 ppm today. This also seems like a small amount, still less than one part in a thousand. However, CO2 plays an important role in determining the Earth’s temperature. Earth receives light and heat from the sun and then reradiates some of that energy back into space as heat or infrared radiation. CO2 interferes with that process, blocking some of the radiation emitted from the Earth’s surface. 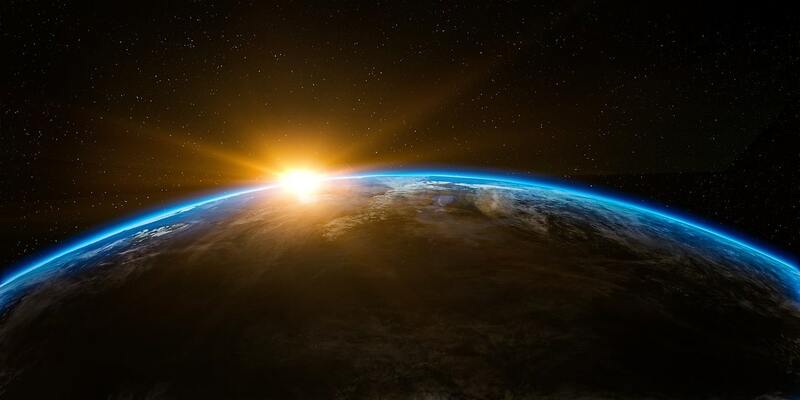 Thus, the Earth receives more energy from the sun than it emits into space, and that imbalance causes the Earth’s temperature to gradually increase. Why is this small warming a concern? It seems like it might be good for the Earth to be a little bit warmer. If we were certain that the Earth’s temperature would continue to just rise slowly, we could eventually work to slow it down and reverse it at our convenience. The problem, and the danger, involves phenomena that we call tipping points. If we push against a floor lamp gently, it will rock back to its upright condition when we stop pushing on it. Push a little harder, and the lamp tips more, but it still rocks back when we stop pushing. But at a certain point, a tipping point, the lamp becomes unstable and crashes to the floor. What are the Earth’s tipping points? 1. There are huge amounts of carbon (estimated by scientists to be twice as much as the as the carbon in the atmosphere) buried in the permafrost in the arctic. 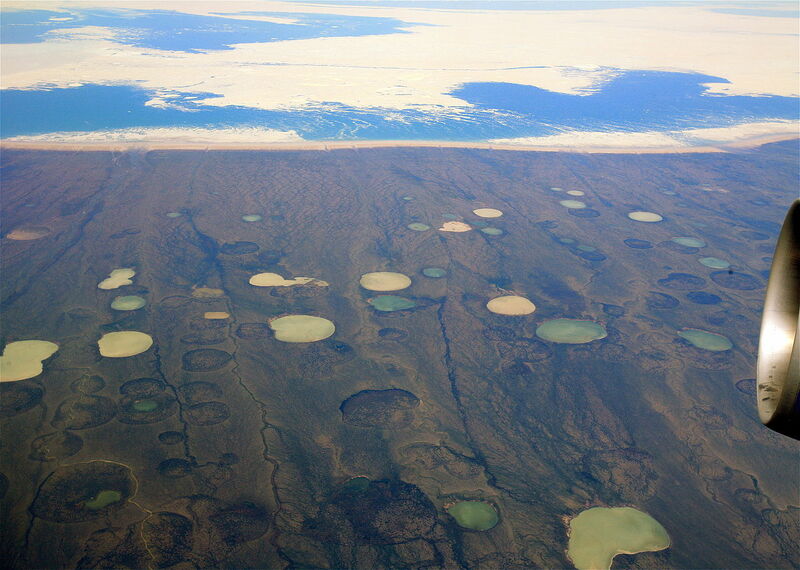 A global increase of only one degree Celsius is already causing permafrost to melt in some places. The release of this carbon in the form of CO2 or methane (up to 154 times more effective than CO2 in trapping heat from the sun) could accelerate global warming beyond humans’ capability to reverse it. 2. There are also huge amounts of methane hydrates buried at the bottom of the oceans. It is thought that they may begin releasing methane into the atmosphere as the ocean temperature rises, which would also drive global warming. 3. Light from the sun reflects from the ice on the Arctic Ocean. We are perhaps only a few years away from the Arctic Ocean melting in the summer. The open ocean would absorb that energy that is now reflected by the ice. Now we have an additional mechanism for heating the Earth. So the danger is not so much the forest fires, hurricanes, or even the small sea level rise we now see as a result of the Earth’s warming. 1. Large quantities of CO2 from permafrost and methane from the ocean floor are released as Earth temperature increases. 2. Temperature rise drives more CO2 and methane release. 3. At a critical temperature, plants cannot survive, at least in some regions. 4. As plants in some regions die, the local people lose their food supply and become climate migrants. The loss of regional plants also reduces the only mechanism that can remove large quantities of CO2 from the atmosphere. 5. As atmospheric CO2 and Earth temperature increase, polar ice melts and some water evaporates from the oceans. 6. The additional water vapor in the atmosphere traps heat from the sun like CO2 does. 7. The Earth may become a planet where humans can no longer survive. The time for humans to react to the warming that has already occurred is now. What should we do? Well, of course we should stop burning fossil fuels, since they are the primary cause of the CO2 build up in the atmosphere that in turn causes the Earth’s temperature to increase. But stopping the burning of fossil fuels is easier said than done. Our economies are tied to fossil fuels and the fossil fuel industry is powerful financially and politically. And, as a practical matter, switching to environmentally friendly power sources cannot happen overnight. Years of planning and implementing of engineering changes would be required. Many governments and environmental organizations are focusing their efforts on transitioning away from fossil fuels. They should continue doing that, of course. There are devices all over the Earth that absorb CO2 from the atmosphere at a rate that is about 4 times the rate of emission by the burning of fossil fuels. These devices are called “plants”. They include agricultural crops, forests, grasses, jungles, basically all vegetation on Earth. The plants absorb CO2 and use the carbon and oxygen to build their leaves, stems, fruit, seeds, etc. However, when the plants die and decay or are burned, they release all the carbon they have absorbed during their lifetimes, and the carbon combines with oxygen and returns to the atmosphere again as CO2. Thus the CO2 absorbed by living plants is canceled out by the CO2 emitted by the dead and decaying plants. But, if we could interrupt this cycle by preventing the dead plants from releasing CO2, we could gradually reduce and eventually cancel out the buildup of CO2 caused by the burning of fossil fuels. If we heat the dead plants (or crops, trees, grasses, etc.) in the absence of oxygen, the carbon will be unable to form CO2 and will be extracted in a form of charcoal called biochar. Produced in the right way, biochar can remain stable for centuries or millenia, while providing a significant drawdown of atmospheric CO2. When we extract a pound of carbon in the form of biochar, it is a pound of carbon that will not return to the atmosphere as CO2. Thus, producing biochar is equivalent to combating the buildup of CO2 in the atmosphere, provided that other greenhouse gases, such as methane (CH4) are not released in significant quantities during the process. But how do we raise the money to pay for the processing of dead plants to produce biochar? As it turns out, biochar is a useful product that can be sold to pay for the cost of its production. Biochar can be used as a fuel to replace coal in steelmaking and other applications. It can be used as a filter to provide clean water. However, its most important application may be in agriculture. Biochar is very porous and has microscopic channels that can capture water, fertilizer and plant nutrients, which the plants can access later through their fine root fibers. Therefore, it enables plants to thrive in drought plagued areas where water is not plentiful. 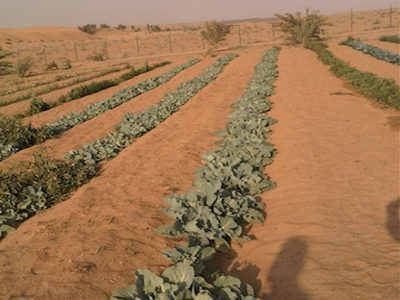 Biochar grows food in deserts by stretching water in drip farming. 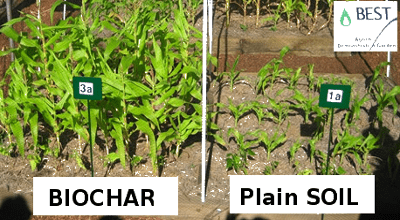 Yields of biochar versus plain soil when both crops receive equal amounts of water. The answer is that biochar already exists in nature, exists in our farmlands, and has for a very long time. It is a natural pathway, a natural part of soil, existing regardless of humans. Considerable research has been done at agriculture departments in universities in many countries on the use of biochar in agriculture. However, its use on farms has so far been very limited, since the farmers are often not aware of the research advances. Chemists Without Borders proposes to combat climate change by promoting the production of biochar and its use in agriculture. We intend to help publicize the knowledge gained by the researchers of biochar production and its use in agriculture. We will pass on that knowledge to both the biochar producers and the farmers who can apply that knowledge. We already have volunteers who are ready to talk with biochar producers and farmers about biochar in the following locations: India; Taiwan; Mali; Missouri; Georgia; San Jose, CA; San Diego, CA and Vancouver, B.C., Canada. We plan to ramp up our team of volunteers globally. But, how, precisely, do we propose to help the biochar producers? 1. Methane, which is a much more powerful greenhouse gas than CO2, can be produced in the process and be emitted in the atmosphere. 2. 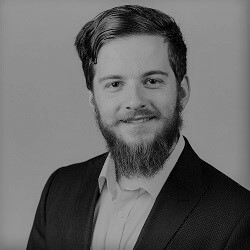 Some processes will produce a biochar which is not stable for a long time, defeating our efforts to keep the carbon out of the atmosphere as CO2 We propose to help biochar producers avoid these problems and to promote only the biochar that is produced without methane and which has a long lifetime. 3. Some processes are less efficient at converting biomass carbon to biochar carbon and thus put more carbon as CO 2 into the atmosphere initially instead of storing it in the biochar where it is released much more slowly. We propose to help biochar producers avoid these problems and to promote only the biochar that is produced without methane and which has a long lifetime. How do we propose to help the farmers? We will seek to learn about the farmers’ soils. Many farmers will have already characterized their soils and know the parameters that describe the soil. We will also work with soil testing laboratories which will be able to do additional tests. Having information about each farmer’s soil, we will be able to pass on the researchers’ advice on how biochar can improve the fertility of the soil and reduce the costs of water and fertilizer, thus improving the quality of the farmer’s crop and his/her profitability. We have assembled an amazing team of scientific researchers in climate science, biochar production and soil science from a number of universities. We also have several biochar producers on the team. We have three student chemistry clubs on the team at Missouri University of Science and Technology, Palm Beach State College in Florida, and at an international high school in Taiwan. We have about 100 volunteers who are ready to contact biochar producers in their area and to promote this technology to farmers and other biochar users in their local areas. 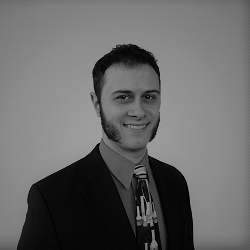 Adam Cooper and Brian Vaccaro are the team leaders, and Ray Kronquist, our president, serves as an advisor to the team.